Lots of incredible science fiction movies are made outside America, though many of those movies—like next year’s French production Valerian and the City of a Thousand Planets—are still made in the English language. But movie history has fielded some stellar foreign-language scifi films from Alphaville to Godzilla—and the last decade hasn’t been too shabby, either. Here are our top picks. Not to be confused with the multiple other movies that share the same title, this cinematic mind-warp follows two stories of very different people (a family on a road trip, two crooks running from a cop) who have the same problem: They’re trapped in a time loop. Mexican writer-director Isaac Ezban’s intriguing debut film might be low-budget, but it’s as high-concept as they come. Science-fiction romantic comedies are all too rare, and this one from rising Spanish star Nacho Vigalondo (we can’t wait to see his newest film, Colossal) has plenty of charm. It asks the time-honored question: What happens when you wake up after a wild night with an attractive stranger... and your walk of shame is thwarted by the fact that a UFO is looming over the neighborhood? In this Tamil-language (with some English sprinkled in) film directed by S. Shankar and starring former Miss World Aishwarya Rai, we meet a scientist who creates a lookalike android so sophisticated it’s capable of falling in love. It’s also so vulnerable that it can be converted from nice robot to killing machine with just a tweak of its operating system, so that causes some problems, as you can imagine. The music is by A.R. Rahman, who two years prior won a pair of Oscars for his work on Slumdog Millionaire. This one—a strikingly animated dystopian noir, created using mostly black-and-white motion capture—is a little bit of a cheat, because there’s an English-language version available with the voices of Daniel Craig, Ian Holm, and others., but Christian Volckman’s film was originally made in French. It’s set in Paris in the year 2054, and is about the kidnapping of a young scientist who works for a giant corporation, and whose research may have uncovered the secret of eternal life. Kanji Nakajima wrote and directed this eerie, low-budget entry produced by arthouse deity Wim Wenders (Wings of Desire). It’s about an astronaut who’s felt guilt over the death of his twin brother since childhood. When he also dies after a space accident, his mind is transferred into a clone, where his sense of guilt becomes somehow even more amplified—and his memories become even more haunting. This sly Hitoshi Matsumoto mockumentary follows a man saddled with the burden of inherited superpowers, specifically the ability to become huge whenever his government needs him to take down a giant monster invasion. Hey, it’s a living. This German-language Swiss film from Ivan Engler and Ralph Etter is set 250 years in the future, a time when Earth is no longer inhabitable—and the best second option, a terraformed paradise called Rhea, is only accessible for the rich. Young medic Laura doesn’t have that kind of money, but she’ll be able to earn enough if she signs on for a dicey job that will put her aboard a cargo ship for eight years, rotating in and out of cryo-sleep with other crew members. She’s the only one awake when things start going mysteriously awry, in that great scifi tradition of “hey, I’m trapped on a spaceship with something that might be evil, and people I don’t entirely trust.” The truth, as she eventually discovers, is even darker and more mind-blowing than anything she (or the audience) could have imagined. Five years before he made his English-language debut with Snowpiercer, South Korean director Bong Joon-ho made this movie about a creature that lumbers out of the Han River and starts picking off civilians—including the young daughter of a slacker snack-bar worker who becomes the story’s unlikely hero. 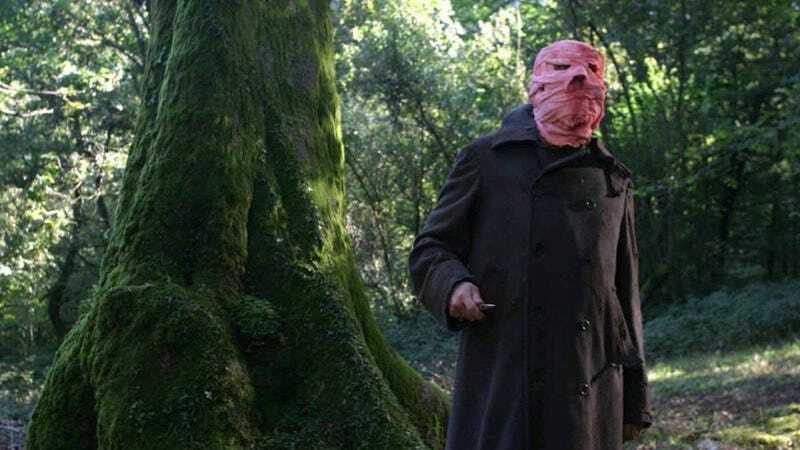 The second Nacho Vigalondo movie on this list is his debut feature, which signaled the arrival of a uniquely weird and wonderful new talent. He also wrote and co-stars in the film, which is about a man whose sense of reality becomes hopelessly pretzeled when he becomes caught in a time loop with different versions of himself. Timecrimes is one of those movies that benefits from repeat viewings, since it yields new discoveries every time you watch it. As much as we dig Marshall, we’re not torn up about it at all, because the original Norwegian film is completely terrific on its own terms. In the film, trolls are both real and the government totally knows about them, but average citizens—and young, camera-toting wannabe documentarians—have no clue. Comedian Otto Jespersen’s performance as the title character is a high point in what’s easily one of the most entertaining “found footage” movies ever.